Game to try something twisted? 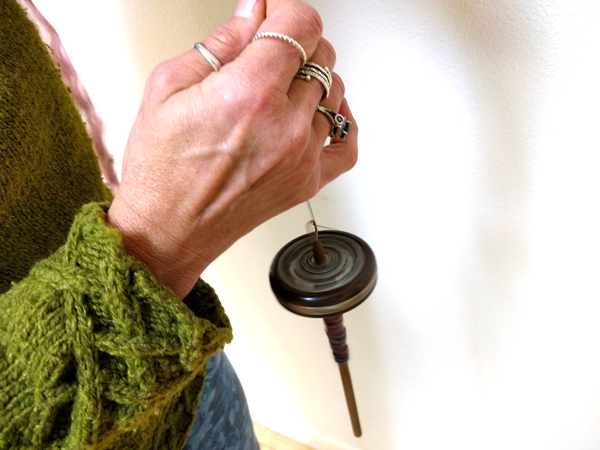 Learn to make yarn the old-fashioned way with a drop spindle. No prior spinning experience is necessary. We'll learn and practice the skills to transform wool into yarn without fear of dropping the spindle. From there we'll cover spindle plying and finishing your first skein of spindle-spun yarn. Materials Provided: Wool fiber (2 ounces multi-colored merino from ETC) and drop spindles to borrow during class. Materials to bring to class: Drop spindle, if you already own one, otherwise, none.